When you’re in a super-competitive industry, effective marketing makes a difference. 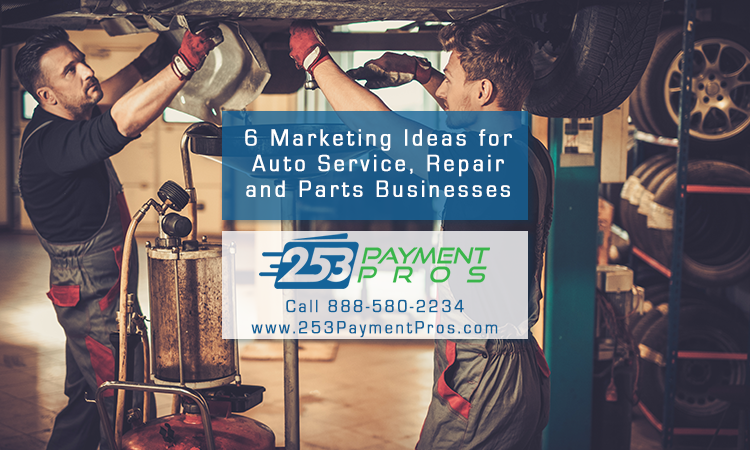 Here are six marketing ideas for an auto repair, service or parts business. Finding articles with marketing ideas is easy; however, finding resources specifically tailored to help with growing a specialty business, marketing ideas for auto repair, auto supply or other automotive service companies is not so easy. Some small businesses have all the luck! We’re talking about small business types that have steady demand and simply need to let the public know they are out there and provide good service. I mean, everyone needs a haircut, right? Everyone eats out from time to time, right? Everyone needs groceries, right? 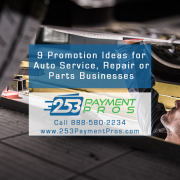 But for other types of businesses, often times consumers don’t need them until they need them – such as auto repair or auto supply stores or specialty automotive service businesses like tire repair and replacement businesses. This makes for a much more competitive environment where good marketing ideas can mean the difference when it comes to growing a customer base and becoming more profitable. 97 percent — that’s 97 out of every 100 people – start looking for businesses just like yours online, so says BIA/Kelsey as noted by BixNDex University. (By the way, if your automotive business services business customers as well as – or instead of – public consumers, the number for you is 93 percent — 93 out of 100 of business buyers start the buying process by searching online). What’s more, up to 70 percent of the buying process may be complete before the customer ever reaches out to a brand or talks to a sales person. 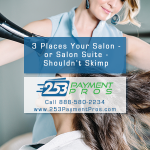 What this means is that by the time they call or arrive at your automotive service, repair or supply location to check out their options, it’s likely that they have already made their decision and they are simply trying to confirm it. Your business must have an online presence so that you get found by local customers who need to have their automobiles serviced, repaired, tires changed or who need to purchase parts to do work on their vehicles themselves. Your online marketing strategy should include a website, blog, email marketing and social networks – as a starting point. To maximize your ability to get local web traffic and bring more customers in for service or sales, incorporate content marketing into your automotive business marketing strategy. Make it easy for online searchers to find out what they need to know in order to take the next step in coming to your business or calling for an appointment or information. Make sure your phone number and address are easy to find on every page and make sure your “contact us” page has complete contact information and hours of operation. Provide the means for customers to ask questions or contact you outside of your hours of operation through web contact forms or email. And when you receive an inquiry, respond as quickly as possible! Obviously word of mouth marketing plays a big part when it comes to growing an automotive service, repair or supply business. Many people don’t know a lot about car maintenance and they worry about being cheated or receiving poor service – a problem that could result in them finding themselves stranded somewhere on the side of the road in the middle of nowhere. Build trust with nervous and curious consumers by leveraging customer testimonials in your direct and e-mail marketing communications, on social networks and of course on your business website, too. Offer rewards for customers who refer friends or family to your business, and thank them for doing so with a hand-written thank you note. Be open about telling your customers that you want more customers “like them” and invite them to share your social media profiles or email newsletters with their contacts. If you have the type of business that consumers don’t normally think about until they need your services or products, you need to build brand awareness in other ways so that when individuals do need your services or products, yours is the first business that comes to mind. One way to get brand awareness with local consumers is to be present and active in your community. Joining civic and city business and networking groups, sponsoring youth sports teams, school programs, tutoring or mentoring programs or supporting local charities are just a few of the marketing and networking tactics that can introduce you to future customers and begin to build positive brand associations in their minds – before you have even had a chance to “wow” them with your services and products! Many of the marketing tactics described above can provide you with the basis for generating a press release. Traditionally, to get press coverage meant you had to had a connection with a member of the media. Now, thanks to the internet and the prevalence of self-publishing platforms (websites, email newsletters, blogs, social networks and paid press release services) anyone can generate press releases that get read – regardless of whether the local paper chooses to publish them. Year in and year out email is named the most effective marketing tactic for attracting new customers and nurturing customer relationships. Be relentless in capturing the email addresses of your customers and be consistent in emailing them on a regular basis – even as little as once a month – to share any special offers, survey them for satisfaction, promote unique services and encourage referrals.